The title kinda sounds like another St Patty's day post. To funny- this has nothing to do with little green men though- but instead the Good as Gold card kit that you can get for FREE through Sale-a-bration. I love the gold envelope liners- but it seems such a waste to hide all that shiny-ness down in an envelope where it won't be seen. So, I 'reclaimed' the bottom part by cutting off a strip. I left plenty at the top that it wouldn't show, and then used a little glue to hold it in place in the envelope. 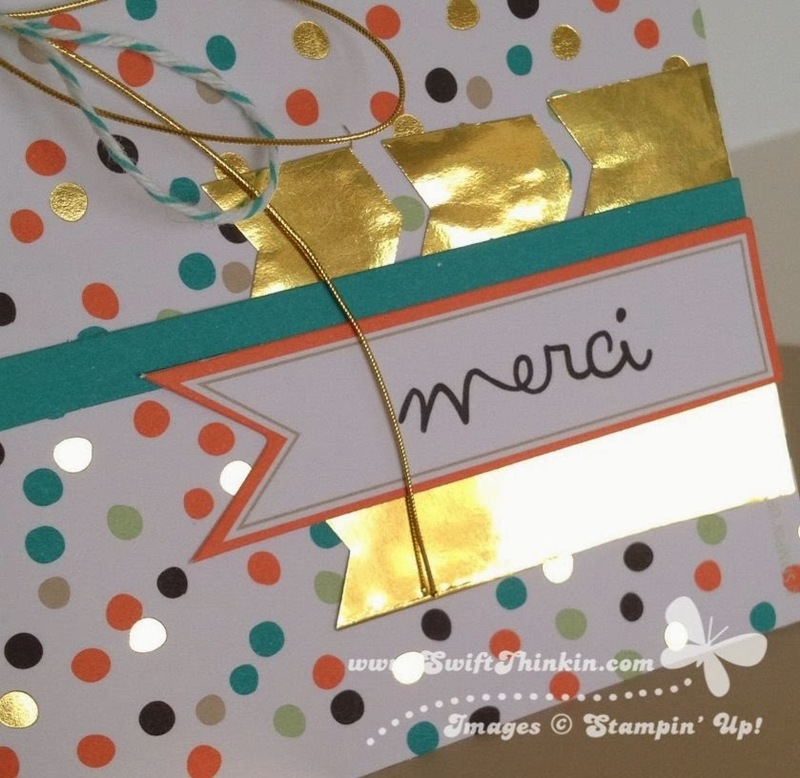 I used this scrap of gold paper to make the extra flags for my card- and paired up with the banner punch (also FREE through Sale-a-bration) they made a super cute addition to my card. Isn't the gold foil just so spectacular? 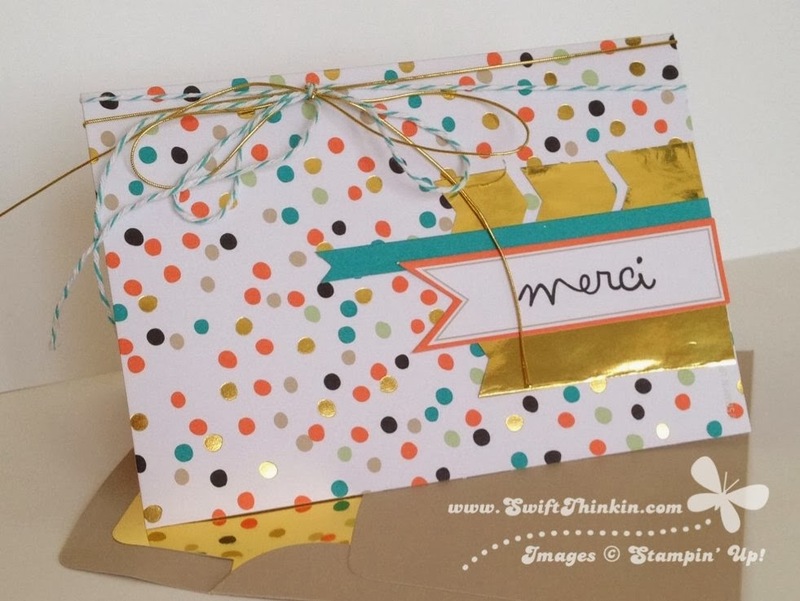 I love that even the gold spots printed on the card are foil and shiny too! This card kit is sure to impress (and you don't even have to tell anyone it cost you nothing :) ).